The Trojan Scheme was a London based educational and training charity providing out of school activities to children and teenagers, as well as volunteering, employment and training opportunities for adults living in areas of high unemployment. 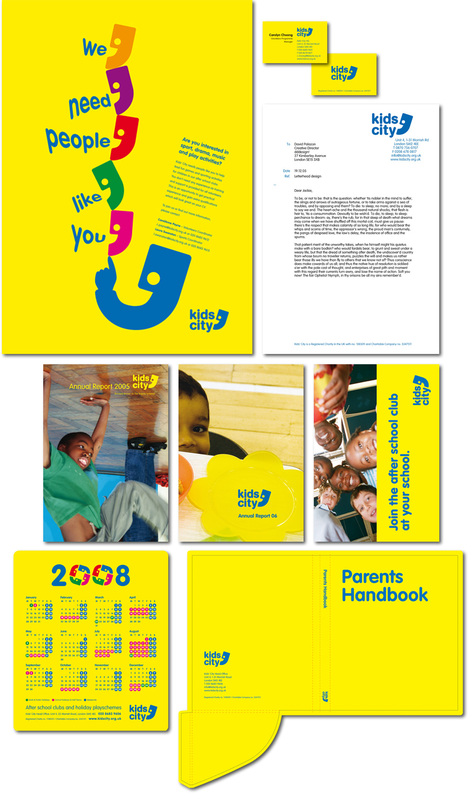 Due to new government legislation, in December 2005 they undertook a major change updating their name to Kids’ City. David was commissioned to develop a new and simple brand inspired by the diverse set of services provided by the charity. Over the three following years, he continued to support Kids’ City as an independent designer, providing the charity with all sorts of design for printed matter.